James talks to Dr Paul Hamor about modes of non-invasive ventilation (Part 2). Dr Paul Hamor is a Respiratory Sleep Physician, and recently appointed Director of Prevocational Education and Training at Royal Prince Alfred Hospital. Paul has interests in the formulation of educational programs, presentation skills, delivering best evidence based-practice to the ward, as well as change methodology. Pulmonary oedema –decreases venous return and increases alveolar recruitment. Generally 8-10 cmH2O is a reasonable starting pressure. Obstructive sleep apnoea – positive pressure splits the upper airway open. Need higher pressures when the person is obese to overcome the weight of the tissues. Severe hypoxia – alveolar recruitment (i.e. opening up collapsed alveoli). Need EPAP to split open the upper airway because the hypercapnia often makes patients lethargic and an IPAP to increase tidal volume. 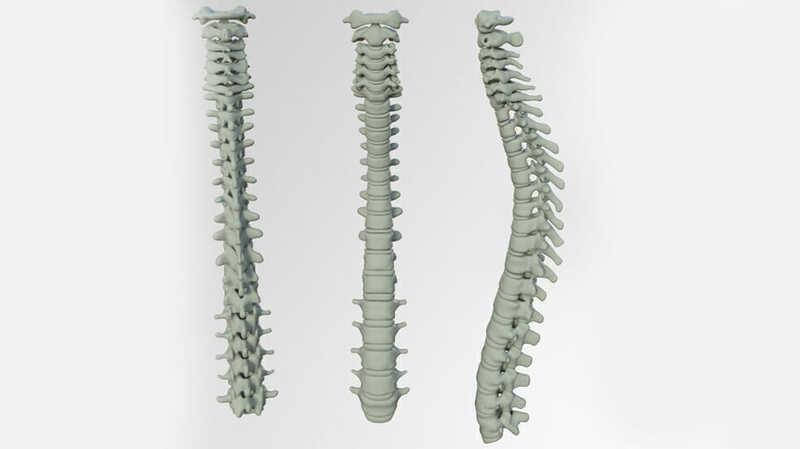 For a normal body habitus example of starting settings would be an EPAP 6 and pressure support of 6 giving an IPAP of 12. If patient is severely hypoxic and fails trial of NIV, will the patient be in a location where you can escalate care and intubate? Case 1- You are a junior doctor working in the ED. A patient comes in with APO – hypertensive, CXR shows APO. You start a GTN infusion and possibly give some IV frusemide. Your registrar says “I think we should start them on CPAP”. What would be your approach to starting this patient on CPAP? Explain the therapy even though they will likely be in respiratory distress. The mask can be particularly confronting for patients with claustrophobia. Select the mask size & (if available) shape. Based on the distance between the bridge of the nose and the groove under the bottom lip NOT the size of the entire face. Too big if it slips under the chin, too small if it slips into their mouth when they open it. 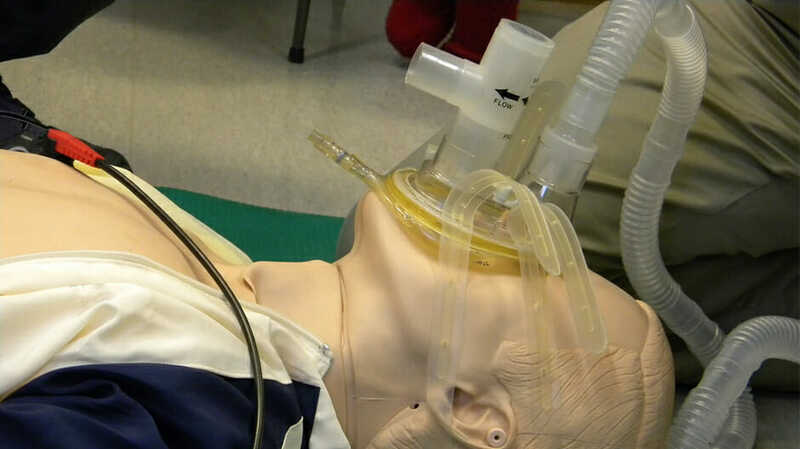 Hold the mask to their face without straps and allow the patient to take 4-5 breaths without pressure, so they can become used to the feel of the mask. Before strapping the patient in hold the mask to their face and let them take a few breaths WITH pressure. Ask if the patient is OK, reassure the patient and be positive! Straps should be tight enough to hold the mask to the face but not so tight it inhibits movement of the face. You should be able to get your thumb between the strap and the cheek but not your thumb and your finger. Hover your hand around the edges of the mask to feel for air leaks. If there are leaks: is the mask size appropriate? Are the straps tight enough? Small leaks will be tolerated, large leaks will impede pressure delivery. Can monitor oxygen saturations (titrate oxygen delivery for 95-98% O2 saturation), crackles, respiratory distress for indications of response. 5. When is it safe to take a patient off CPAP? 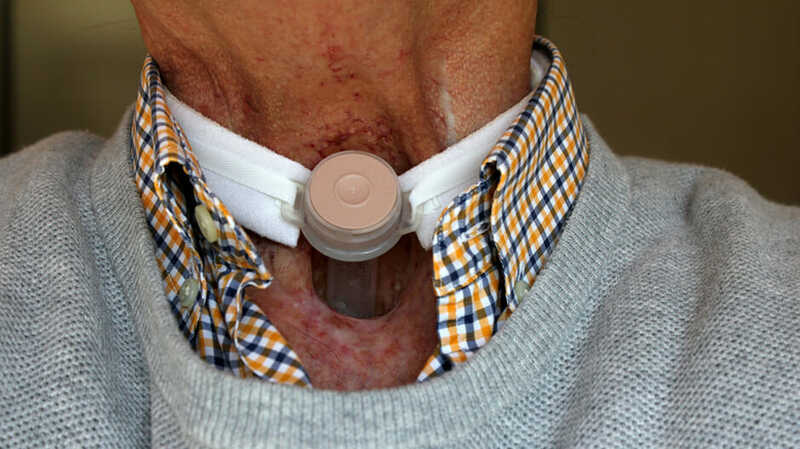 Patients with severe hypoxia should be trialled on CPAP in a place where you can intubate (e.g. ICU) if this fails. Usually these patients have refractory hypoxaemia, tend to have prolonged time on CPAP and up to 50% will eventually need intubation. They should not be managed on the ward. 6. What are the indications for BiPap? NB: Asthma is NOT a recognised indication but is currently under investigation. There is concern around BiPap delaying intubation in severe asthma. Case 2 – A junior doctor is called to see a patient admitted to the ward with an exacerbation of COPD. The gas result shows acidaemia with a raised CO2. What should they start thinking of? Is this worsening of their exacerbation of COPD? This is rare on the wards because patients are generally getting appropriate treatment. Is the patient on too much oxygen? Hyper-oxygenation can lead to hypercapnia secondary to multiple mechanisms, including loss of hypoxic pulmonary vasoconstriction in areas of low V/Q, as well as central causes. Is there an element of APO? Has the patient been getting copious fluid? Do they have some diastolic dysfunction? Treat this with frusemide as a first step, but may also need CPAP or APO. Is the patient hypoventilating due to opioids? Could be treated with naloxone or NIV or both. Is there something in the abdomen restricting their ability to expand their chest? COPD patients are very dependent on their muscles to breathe so abdominal distension or pain could tip a patient into respiratory acidosis. Case 3 – A patient has borderline hypoxia on 2-4L oxygen. The ABG shows hypercapnia with pO2 of 65. Occasionally a junior doctor will take the oxygen off in an attempt to improve the hypercapnia. What do you think about this? Hypoxia will kill you faster than hypercapnia! How do you start BiPap in this patient with COPD? What should you consider if the ABG isn’t improving after an hour? Is their respiratory effort enough to trigger the inspiratory pressure support. You might be able to reduce the inspiratory trigger on some machines. Rise time – this is how quickly the machine will switch from EPAP to IPAP. 1 = 100 ms, 5 = 500 ms. If the patient is very tachypnoeic you should set the rise time at 1-2. Is the pressure support high enough? You could consider increasing to 8-10cmH2O which would increase tidal volume and reduce hypercapnia. Is the EPAP high enough? You could increase to 6-7. It will be hard for patient to exhale if the EPAP is higher than 8, (but may be necessary in the grossly obese patient). Interviewee: Jane Bleasal James talks to Professor Jane Bleasel about an Read More..
Summary Writer: Sam Orton Editor: Jon Gatward Interviewee: Jon Gatward James Read More..